HAH ... I was just at that smoking lounge, and they DO require a 1 drink minimum! 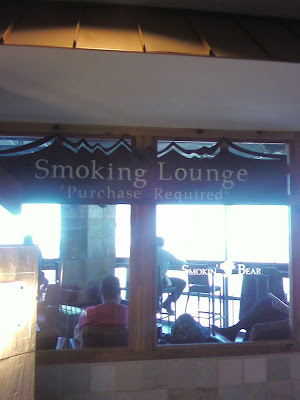 Seems like a "smoking lounge" to me. I've been there, too. I also wondered what I needed to "purchase" to "enter."